These days I'm trying to rock the red lipstick-less look. 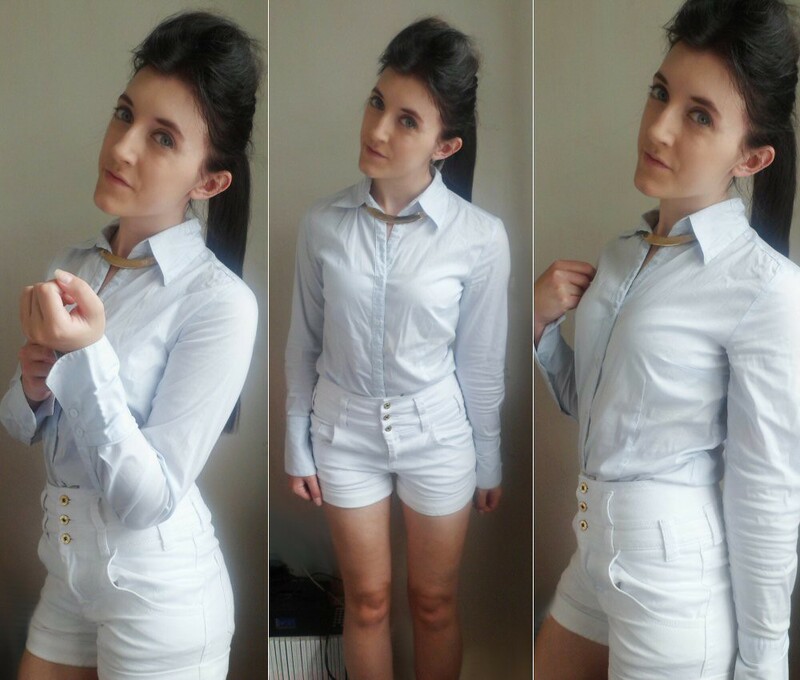 I love the crispness of this baby blue shirt so teamed it with some whiter than white short shorts. The high-waisted fit really appeals to me and I finished the look off with my new Forever 21 necklace. I'm not keen on long necklaces which is one of the reasons I bought this one. I think it stops the shirt looking too boardroom and formal, well, hopefully! With graduation recently coming and going, I'm entering a new chapter of my life. A few of my friends told me I'd miss being a student and right now - that's partly true. Whilst the work wasn't always fun, one thing I did like about being a student was the structure. When Summer came around, I always knew I'd be back at uni come September and have a routine and direction. Now, I feel a little lost. Job-wise I know exactly what I want to do, but in this current climate, getting the job you want to do seems to be a rarity. I can imagine how scary it must feel now the whole 'education routine' has come to an end and you have to start looking for a job, in an economic climate where there are very few jobs out there. Must be scary, but i wish you good luck and i hope you find something in-keeping with what you want to do.